Surveying: the art of measuring relatively large areas with relatively small error. It has been practiced for millennia, first by the Egyptians, and later by the Romans. The Romans used surveying tools and techniques to construct roads and drainage channels that still exist after almost 1000 years. A current survey is needed when purchasing, and highly recommended when refinancing. Depending on the activity in the local real estate market and location of the property, it may have been some time since the last survey was completed. In older areas the survey monumentation may have been disturbed or destroyed and needs to be replaced by a Licensed Land Surveyor. Many individuals, including real estate professionals, describe parcels as surveyed when they see stakes or other types of markers in the ground; however, there is only one way to be certain those stakes were placed or correctly located according to the property�s legal description: have a survey done by a Professional Surveyor and Mapper. 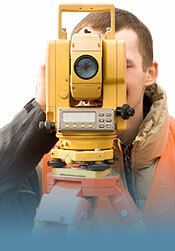 Having a survey performed prior to any construction may save you headaches in the future. With the expense of materials and services increasing daily, it is best to know the requirements set by your City or County Government. These must be met when constructing any new improvements within the property boundary. The requirements will help you pinpoint your restrictions while designing the location or expansion of any building. These requirements include such items such as building set backs, height and bulk restrictions, easements and right-of-way locations. Do not depend on your building contractor to correctly determine the location of your boundary lines to design the structure on the property. 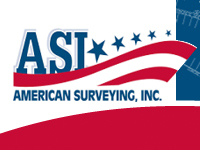 Always contact your local government official to obtain the requirements for your survey before placing an order. Are you planning to erect a fence or shed on your property? Many governments require a survey just to pull a permit for a fence. To be sure you do not encroach onto your neighbor�s property, have a survey performed. Maybe you suspect that your neighbor�s remodeling project has been placed over the property line. The only certain way to make that determination is to have your property surveyed. ASI�s experience can be a valuable asset in resolving title conflicts pertaining to Junior and Senior Rights as well as identifying and evaluating possession conflicts, which may create unwritten title rights. All property across the nation has been studied to determine whether it is located in a Flood Zone. The Federal Government through the Federal Emergency Management Agency (FEMA) determines these zones. These zones vary in severity from areas of minimal flooding, to areas subject to flooding on a regular basis, or wind drive wave damage during severe storms. What a land owner can determine by asking this question is whether his property is located in a specially designated flood hazard zone where he may expect flooding and would therefore need to purchase flood insurance. The areas that are generally designated Special Flood Hazard Areas are located in coastal areas, in areas where the natural ground is very flat, marsh areas, rivers and creeks, salt flats and other natural drainage features. If the property lies in a special flood hazard area, most lenders will require an elevation certificate before lending on the property. An Elevation Certificate is a document created by FEMA and completed by a Land Surveyor. 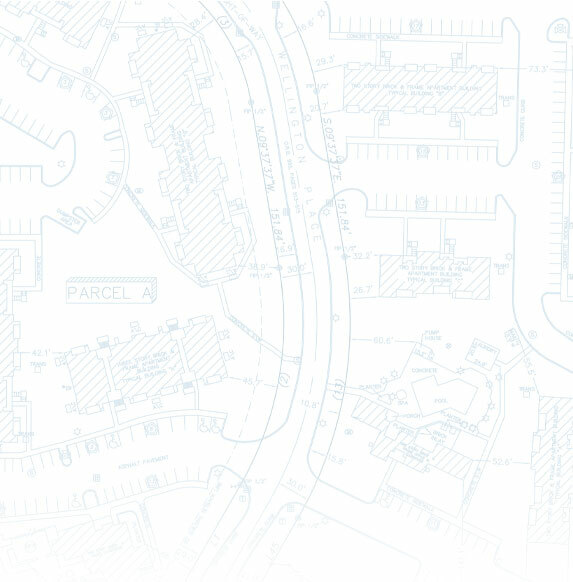 This document, which is then given to the insurance company, identifies the flood zone designation, the base flood elevation, the elevation of the structure and surrounding ground for a given piece of property. From this certificate, the insurance company can accurately determine the cost of flood insurance for the property. A Residential survey consists of establishing the property corners and property lines, showing both the measured and record bearings. The home is located and represented on the survey with dimensions of the residence and distances to the property lines. In addition to the home, permanent structures such as carports, sheds, patios and swimming pools are located and shown graphically on the survey. 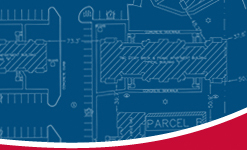 A commercial survey consists of establishing the property corners and property lines for the property; showing both the measured and record bearings and distances for the boundary, and reviewing a Commitment for Title Insurance to disclose matters of record that may benefit or burden the property. There are often associated lands with rights of use that are included with the subject property; for example, ingress, egress, and parking. The building or buildings are also located, together with visible above ground evidence of utilities, parking spaces and/or structures and any other significant features that may impact the property�s value. Setbacks are researched and disclosed on the survey map as well as easements of record listed in the title commitment.